Set of beautiful spring elements for your design. 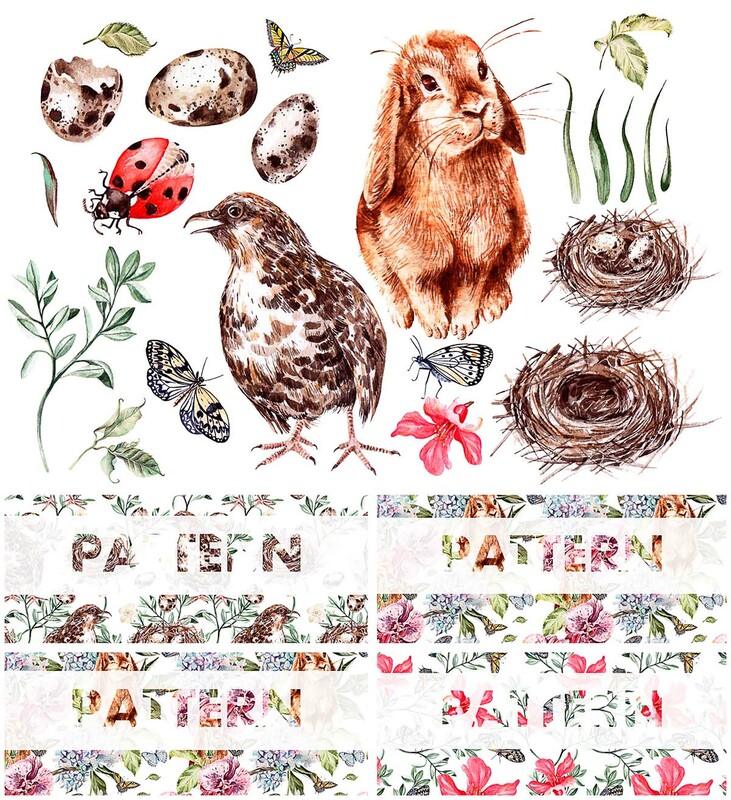 Wonderful Easter rabbit, quail, spring grass, flower and insect. Use a set of cards for design, patterns, wedding invitations and other which wish your imagination. File format: .png for Photoshop or other vector software. 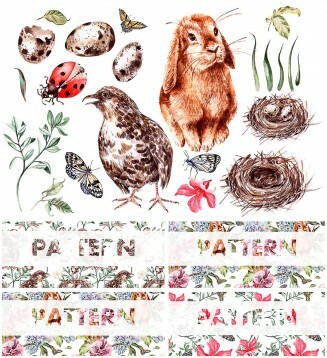 Tags: Bird, bunny, decorative eggs, hand drawn, pattern, seamless pattern, spring, watercolor.